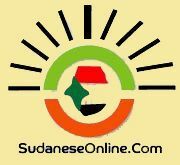 Khartoum, May 10 (SUNA) - The Speaker of the National Assembly, Prof. Ibrahim Ahmed Omer, has affirmed Sudan keenness to establish good relations with the European Union. This came when he received Tuesday in his office the Ambassador of the European Union to Sudan. Prof. Omer said that the cooperation between Sudan and Europe is a historic one, especially in the field of education and knowledge. He said that the developments and changes at the international arena necessitate a new vision. The National Assembly's Speaker was briefed by the European Union Ambassador on the level of the political dialogue between Sudan and the European Union and formation of Sudanese - European friendship societies which led to the exchange of visits between the European Union and Sudan. He affirmed increase of the aid extended by the European Union to Sudan in the fields of education, health, agriculture and water. He pledged to contribute to providing more assistance to Sudan by the European Union in the fields of combat to human trafficking and illegal immigration.